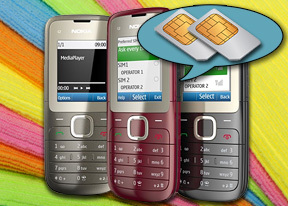 Dual-SIM is usually the domain of no-name brands, and the few models signed by top makers are well worth a look. Because when you need to make a lot of calls on a shoestring, nothing beats the likes of the Nokia C2-00. Better still, the second SIM card is easily hot-swappable through a side-mounted slot, so you can juggle multiple SIM cards with relative ease. You also get support for large microSD cards so the C2-00 can double as a music player or an FM radio with recording capabilities (in some markets). Plus, the loudspeaker is extra loud on this one. There's no hiding that the Nokia C2-00 is a cheap phone - the camera is as basic as they get. But instead of putting fancy disguises, Nokia went ahead and added some features to make the C2-00 even more helpful. Here's what you get. 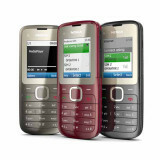 The Nokia C2-00 software package offers extras such as an Expense Manager app - a relevant addition to a budget-minded phone. There's also an English-Chinese dictionary built-in (this feature is region dependant) and an app that will give you tips on how to use the phone. Hardly impressive to a smartphone owner, those are just the type of things that can add value to a handset meant for emerging markets. Flip to the next page to see just how much kit you can buy for 50 euro or so. Is this phone 3G ?